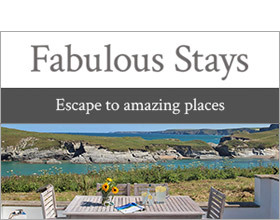 Choose Devonshire Cottage Holidays and stay in one of our outstanding luxury holiday homes in inspirational locations across the whole county of Devon. Think sumptuous interiors, stylish décor, fashionable furnishings and immaculate surroundings all topped off with refinements including guest toiletries, soft fluffy white towels, freshly cut flowers and mouthwatering goodies for your arrival. Our luxury holiday cottages have dreamy mattresses and fine linens to ensure a blissful night’s sleep. Some offer fabulous facilities; choose from luxury woodland lodges with bubbling hot tubs on the veranda or luxury family homesteads with cinema screens to view the latest movie. Cool off in your own private swimming pool on hot summer days, or dine in style with an in house chef for that special celebration.